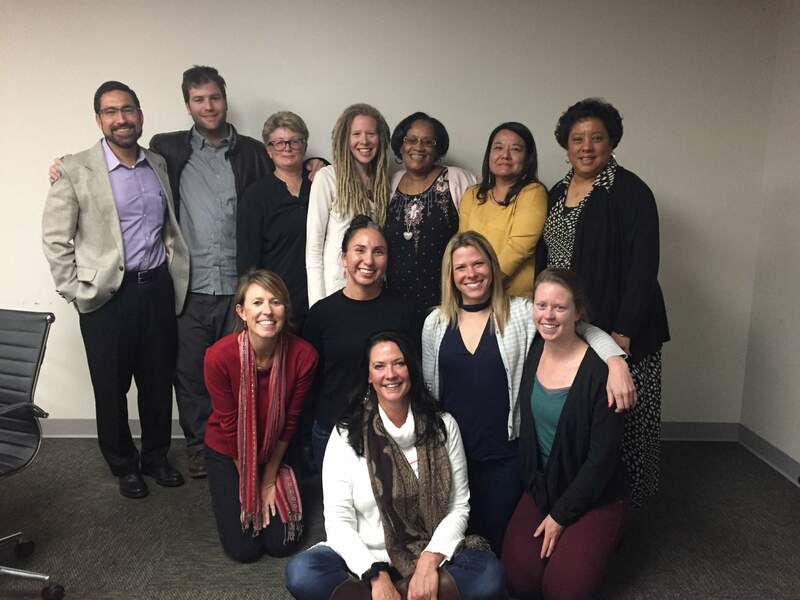 Eleven students working on their master’s in social work through the University of Denver Graduate School of Social Work received stipends through a federal grant. One them was Davina Morris of Tsaile, Arizona, who is interning at Tsehootsooi Medical Center in Fort Defiance, Arizona. To address the shortage of behavioral health care workers, the University of Denver’s Graduate School of Social Work granted students in Durango stipends and additional training this school year as part of a federal grant. Clinical associate professor Michael Talamantes and associate professor Michele Hanna are pictured with students who received stipends: Harelda Anderson, Margaret Hawkins, Davina Morris, Erica Kelly, Karen Pachucki, Zandi Pluta, Angel Reeve, Margaret Hawkins, Karen Humphrey and Aaron Imber. Stipend awardee Megan Hess is not pictured. 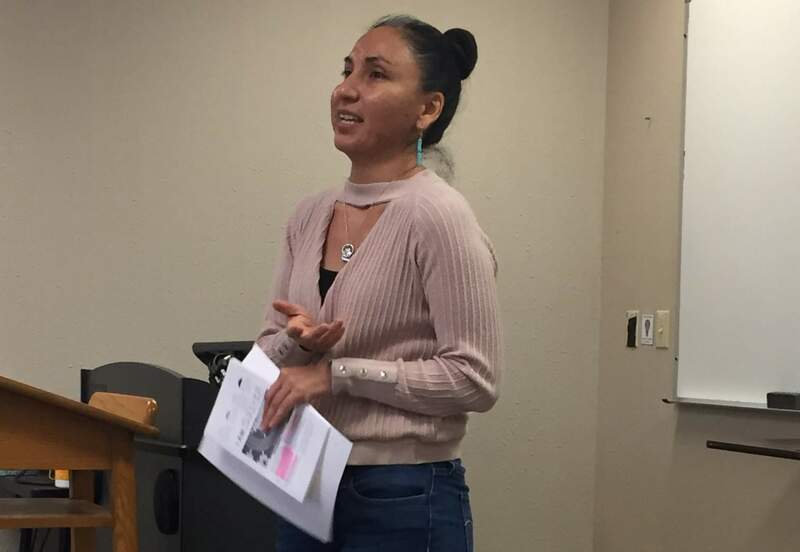 To address the shortage of behavioral health care in the region, social work students in Durango are receiving additional training and stipends from a federal grant. This school year, 11 students studying at the Durango campus of the University of Denver’s Graduate School of Social Work each received $10,000 stipends and additional training funded through a U.S. Department of Health and Human Services grant. Students can use the stipend as needed, which could include tuition or other personal needs. Social workers are highly employable because they can work as counselors in one-on-one settings, in group settings, and they can also do community-level mediation, said Wanda Ellingson, director of the Four Corners Master of Social Work Program. The program, based in Durango, accepts 25 students every two years, and the next group of students, which will start in June, will also be able to apply for stipends and training in its second year. DU received $1.9 million in federal funding to train social workers to meet behavioral care needs in underserved areas. Students pursing master’s degrees at the Durango campus received some of this funding through the initiative called CLIMB@DU. Much of the state, including La Plata and Archuleta counties, is designated as underserved based on the number of practicing behavioral health professionals compared with the population, according to the Colorado Department of Public Health and Environment. Among behavioral health professionals, those with a degree in social work are some of the hardest to recruit, and this program helps fill that need by educating them locally, said Pam Wise Romero, chief clinical officer for Axis Health System. “We understand as a large employer of mental health and behavioral health professionals that recruiting is more difficult to rural areas,” she said. After earning degrees, students who received stipends are required to work for a year in the Four Corners. To qualify for stipends and trainings, students must complete an internship in health care settings that integrate physical and mental health care. Integrated care helps people seek mental health care earlier and decreases its stigma; it is a growing field, Romero said. “There is more and more call for those trained in a background in integrated care,” she said. Axis Health System trains many employees in integrated care when they are hired, she said. She is pleased to see DU encourage an integrated care model because it will help develop the workforce. “It’s an advantage for these students and an advantage for the field,” she said. DU’s program in Durango is a regional draw, and it holds class only on Fridays and Saturdays to allow students to commute from Utah, Arizona and New Mexico, Ellingson said. “Of the 11 students who are recipients, they truly are from all parts of the Four Corners,” she said. Most of the students who enroll are already working in the field and looking to advance their careers, she said. The master’s degree allows them to work in a clinical setting, work as supervisors or in a more specialized role. “This integrated care grant is just that – it is training social workers to be specialized in working in integrated health care, which is where all of behavioral health is going right now,” she said.